How do I deal with last-minute aches and pains before a race? There’s nothing worse than training hard for a race and feeling prepared, only to stress over nagging aches and pains that arrive in the weeks and days leading up to race day. Proper training volume and intensity are crucial in minimizing the risk of last-minute issues, but even the most dedicated runners can find themselves sidelined by problems like knee pain, shin pain, and blisters. The good news is that dealing with these concerns doesn’t necessarily mean missing the race. Knee pain with running can be due to a variety of factors, but one of the most common is related to the improper tracking of the kneecap (patella) in the groove it sits in (intercondylar groove). The various forces that act on the kneecap as you push off and land with each step are immense, and are controlled by structures like the quadriceps muscle, the iliotibial band, and the inner part of the quad (vastus medialis oblique). It is important to continue stretching, strengthening, and rolling the hamstrings, glutes, adductors, quadriceps, and hip flexors throughout training, especially as you’re closer to race day, to make sure that the knee is tracking properly. Shin pain typically results from the overloading of lower-leg muscles, causing inflammation of one or several of them. Sudden changes in shoes, orthotics, or training surfaces can all contribute, so be aware of these factors as you train or as you begin to feel pain. If you do experience shin pain with walking and running, stretching the calf on a slant board or a step can help. You can also massage the muscles in the front, back, and outside of the lower leg before and after workouts, which may help reduce some of the overload tightness. If shin pain becomes severe, begins to feel like a build-up of pressure, or does not subside after you stop running, consult a physician, as these may be symptoms of a more significant injury. Protect the area. The constant trauma to the skin is the biggest catalyst for blister formation, so a bandage or a blister Band-Aid may be just the thing you need to stop a small blister from growing and derailing you. If a blister does form and has a buildup of fluid under the skin, do not pop it. Once again, cover it and protect the area. If the blister does pop and drain on its own, apply an antibiotic ointment and cover the area to prevent infection. If a blister turns red and appears irritated, seek the help of a doctor to prevent the problem from getting worse. Keep these concepts in mind as the weather gets warm, the miles go by, and race day approaches to give yourself the best chance of achieving your goal. 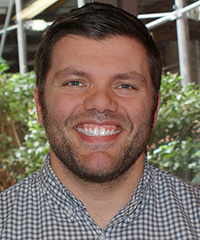 Alex Shafiro PT, DPT, OCS, CSCS is a clinical specialist with HSS Rehabilitation. He is a board certified specialist in orthopedic physical therapy and a certified strength and conditioning specialist, and is also certified in instrument assisted soft tissue mobilization, dry needling, and kettlebell training. Alex works with athletes at all levels of competition, and treats sports medicine injuries with a specialization in the hip and lower extremity.